Abracadabra! 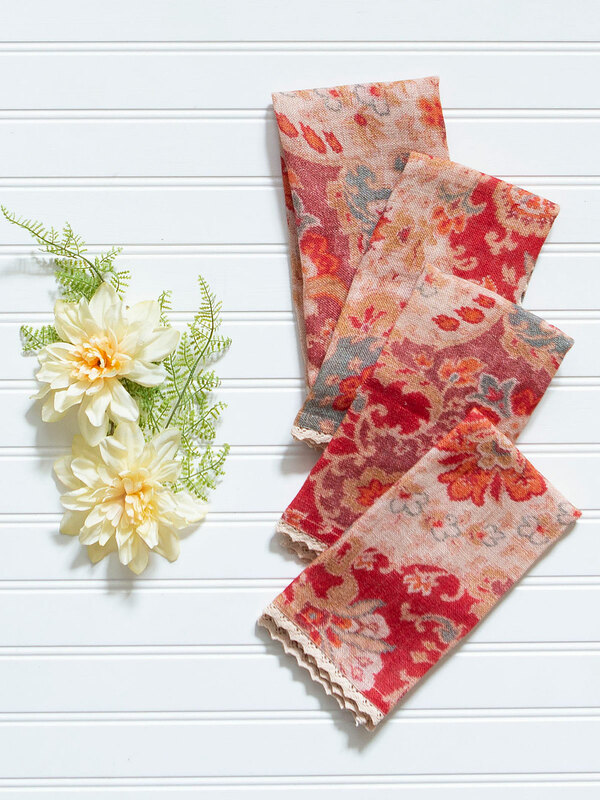 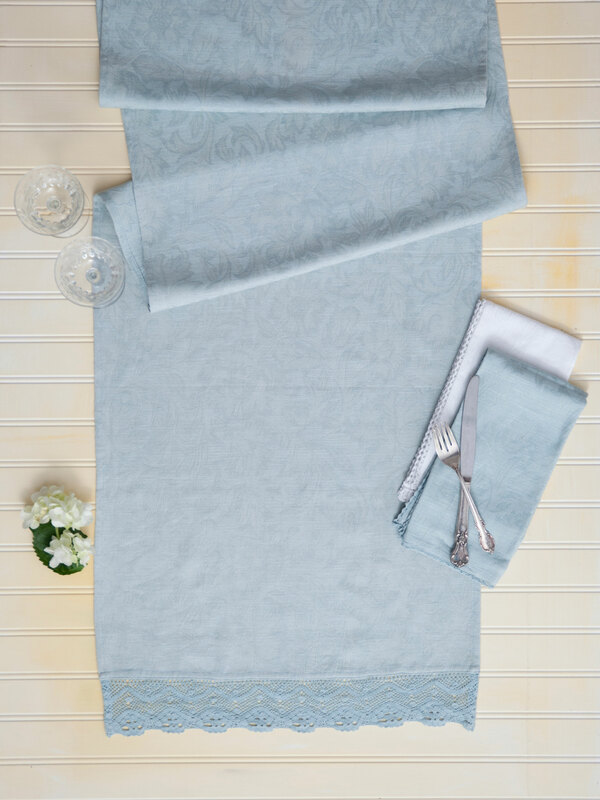 Lush and wondrous as though plucked from a half-remembered dream, the Magic Carpet linen collection stands ready to banish all your pesky decor doldrums. 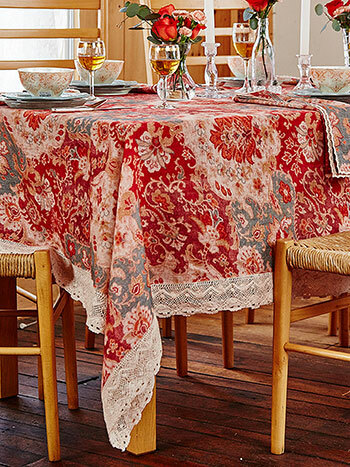 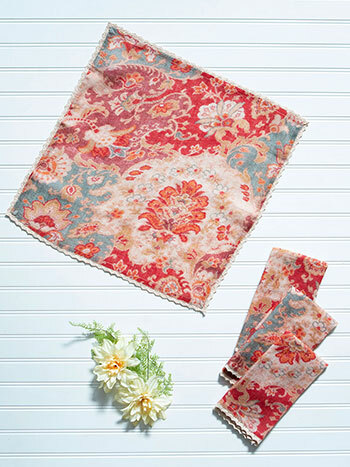 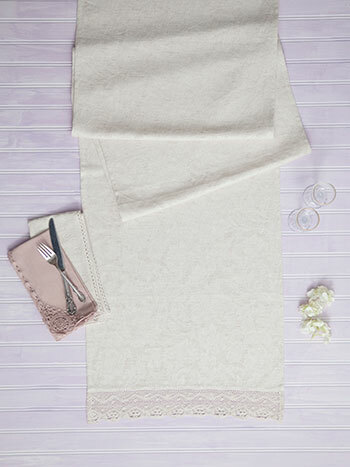 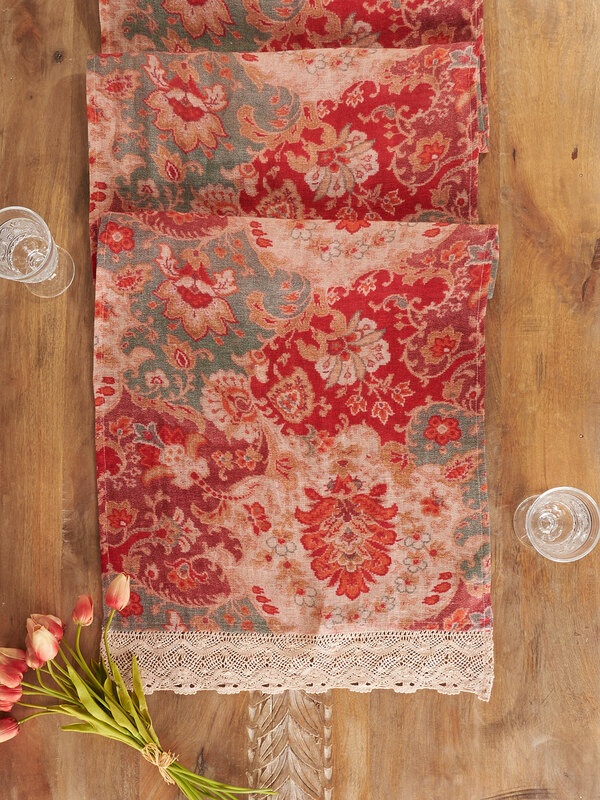 Rich cranberries saturate a variegated linen base and mingle with cream and grey for a tantalizing effect that is framed by a magnificent lace edge.